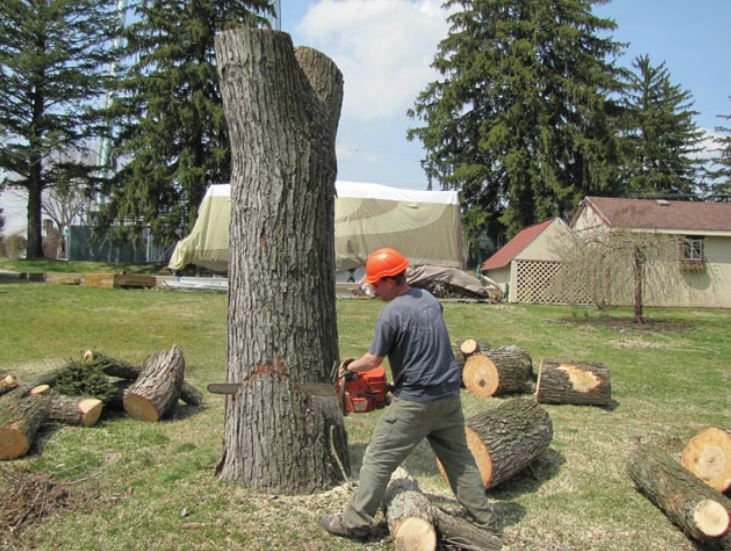 A tree in your yard can become a family home’s staple. Your kids may have grown up with it, it may have been your favourite spot to grab some shade in the summer, or it may have consumed numerous of your evenings and weekends collecting dead leaves. A dead tree. Definitely won’t be raising the curb appeal. A tree struggling with health, and yes, trees can get sick too. A good indication of an unhealthy tree would be the top branches slowly dying off or the trunk showing signs of decay. The tree or its roots are encroaching onto the house, utility cables, etc. The tree is starting to lean dangerously towards anything precious that you don’t want to loose such as a home, driveway, deck, shed, barn, etc. The tree drops troublesome leaves or needles, sap, seeds, cotton, and/or branches. The above list contains only a few reasons. Whatever it may be, we do recommend hiring professionals. You may ask, why do I need to hire somebody, I know how to climb a tree and use an axe or saw. 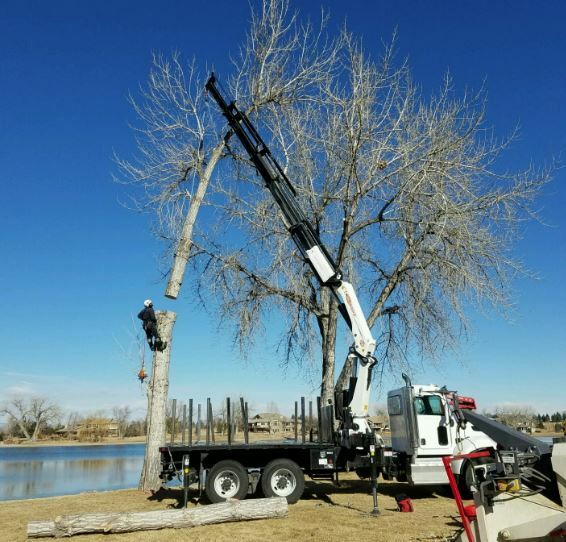 Did you know that tree service is one of the most dangerous jobs in the world? One of the most obvious injuries would be a fall. If you’re not properly tied off and tumble down, depending on the height, angle, and speed of your fall, the injuries can range from minor to fatal. Being experienced and knowing how to properly tie off is crucial. ​Another injury you may not have thought of would be electrocution, if working close to power lines. You may think you’re far away from the power line, but all you need is one wrong swing with the chainsaw or an axe, and you’re having very powerful voltage thundering through your body. Injuries due to the equipment or falling debris are also common. For example, the chainsaw gets stuck in the thick branch of trunk and kicks back. The injury can be minor like a wrist strain for example, or the whole saw could easily cut you open. Sorry for the graphic description, we truly mean the best and are trying to save you from a decision that could cause a life changing or life ending accident. We have removed hundreds of trees safely. Allow us to make your tree hundreds + 1. Like we always say, whether you choose us or not, we hope you stay safe and leave the job to the professionals. Tree Height, Width, Quantity, etc.